When it comes to animal removal and pest control in Oakville - we have you covered. 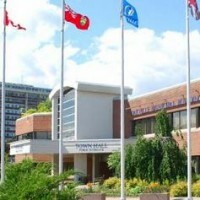 Oakville is a core service area for us and we live and work locally! With a population of about 165,000, Oakville is a mix of modern and new with traditional and old. The south has a lush landscape with a mature tree canopy while the new development to the north is changing the face of this once "small" town. Oakville is a fast growing and changing Town and is experiencing great cultural diversity. Both mature areas and newly developed areas bring nuisance pest problems for their own reasons. Wildlife and rodent displacement due to urban development means habitat is being pushed to find new homes to call their own and they're pushed within the urban boundary - it could be your home! The best thing to do is to take steps to protect your property; especially attics, under decks, garages and of course your home's interior with wildlife prevention services. Residential neighbourhoods in Oakville are often surrounded by greenspace, too. Whether it is backyard ravines, parks, golf courses or other green space adjoining your property there are countless ways for animals to penetrate your home or commercial property. Proximity to the Niagara Escarpment also facilitates a short trip into Town residences. What makes Oakville beautifuly also makes it very attractive to wild animals and nuisance pests! Whether you need certified professional extermination services or wildlife control technicians to catch those pests, we'll get the job done right the first time! We're local to Oakville and employ best practices to humanely deal with wildlife issues. Get your mice, raccoon, squirrel, wasp, insect or other nuisance pest problems under control and out of the way now with us!